DMA Law know that every person is unique and every claim is unique. Therefore we pride ourselves in providing a unique service to our clients and their personal injury claim. 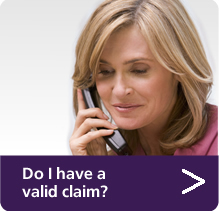 When you call us you will speak to a directly to a qualified personal injury solicitor. If you would like us to contact you, please fill in the form below and we will be in touch shortly. 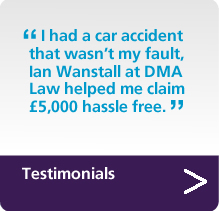 Alternatively, please call us at our Durham office on either 0191 375 3938 or 0191 375 3939 so that we can advise you on your potential claim. All of our advice is free and without obligation and we look forward to talking to you.